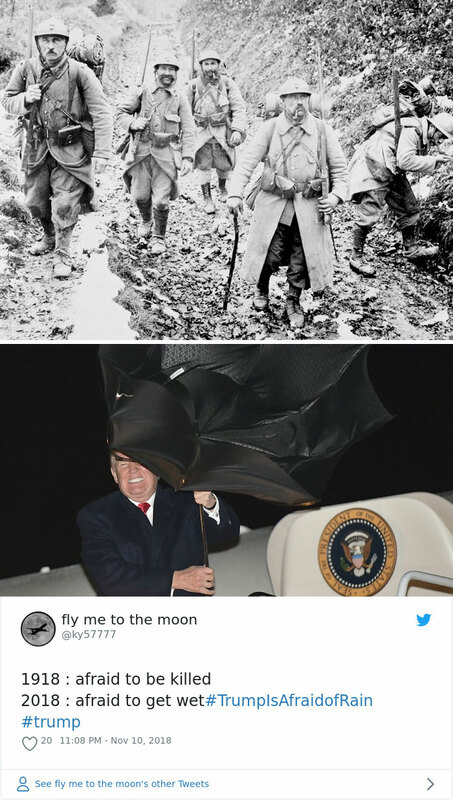 We've all had to brave the elements to get to work - but not the President of the United States. 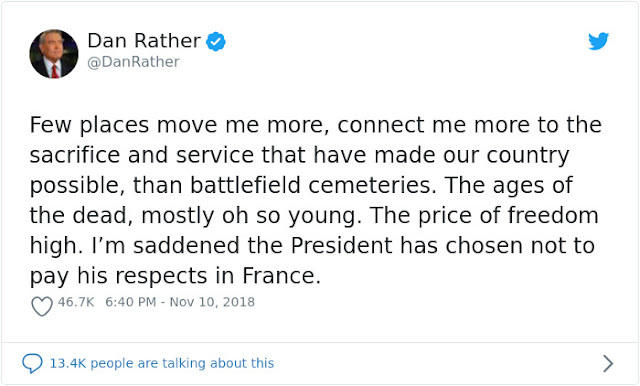 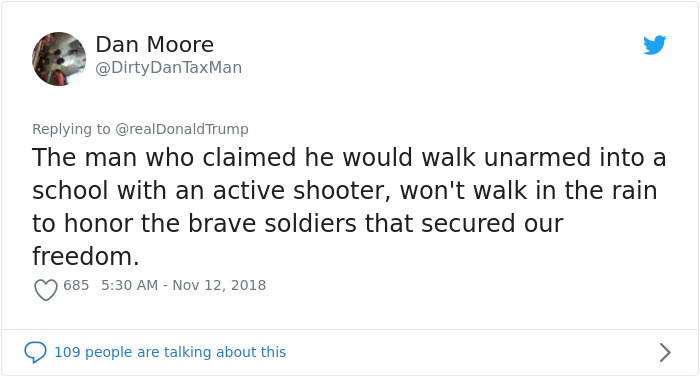 President Donald Trump is under fire after he canceled his visit to the Aisne-Marne American Cemetery to honor the fallen U.S. soldiers from the battle of Belleau Wood buried in the French cemetery. 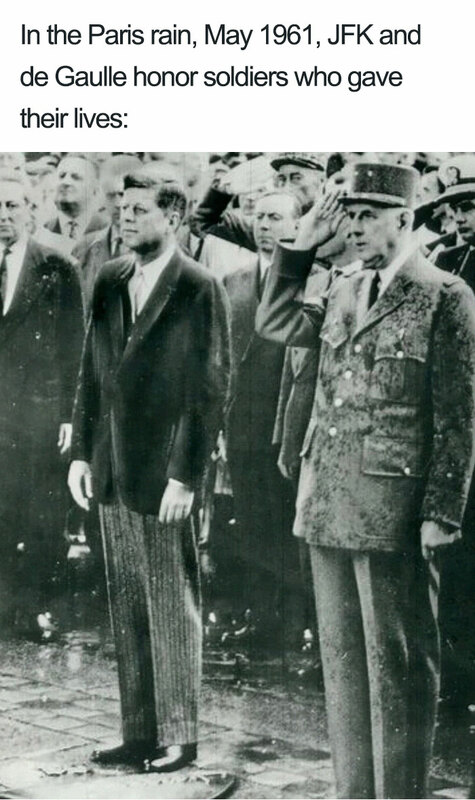 The ceremony was conducted to commemorate the 100th anniversary of the end of World War I. 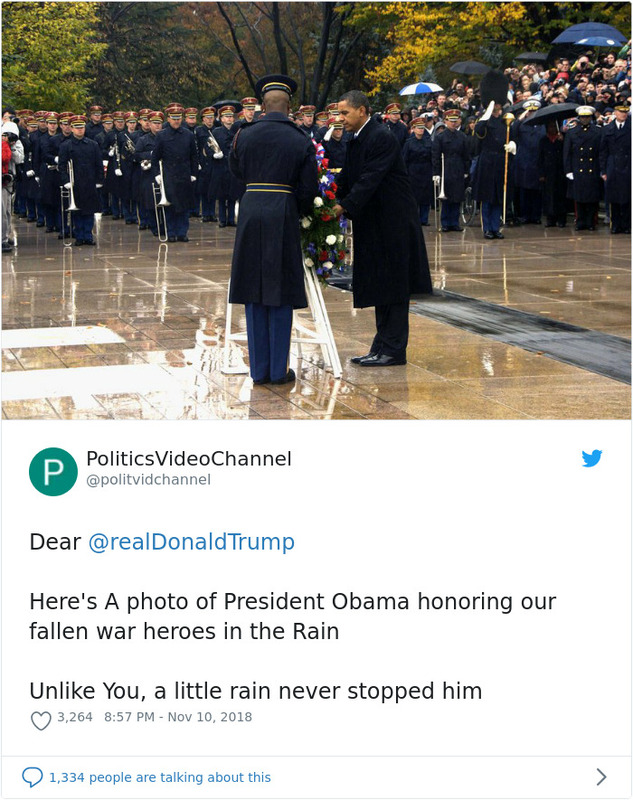 The White House commented on the U.S president's absence citing, “scheduling and logistical difficulties caused by the weather,” and instead sent a delegation led by Chief of Staff John Kelly to the cemetery in his place. 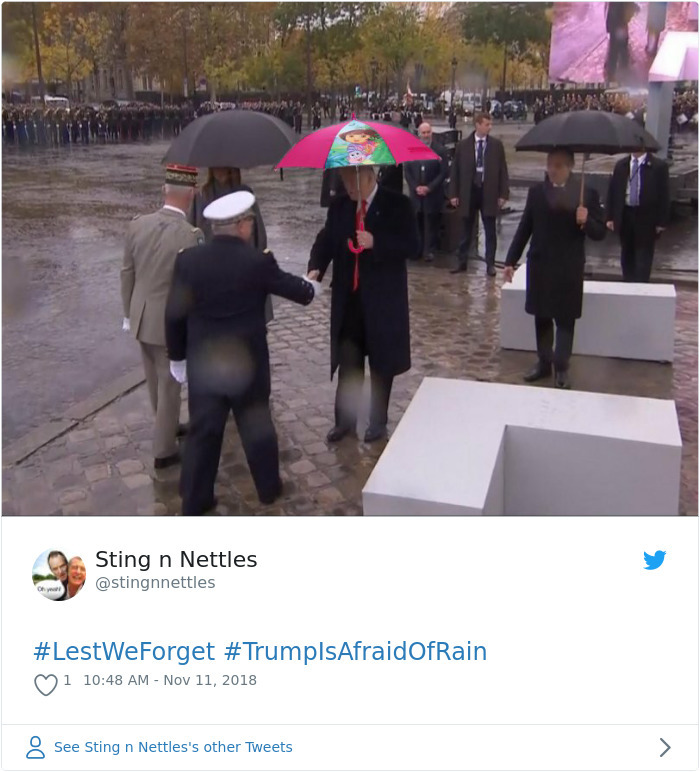 The cloudy weather and rain prevented president's helicopter for traveling to the site located 50 miles from Paris. 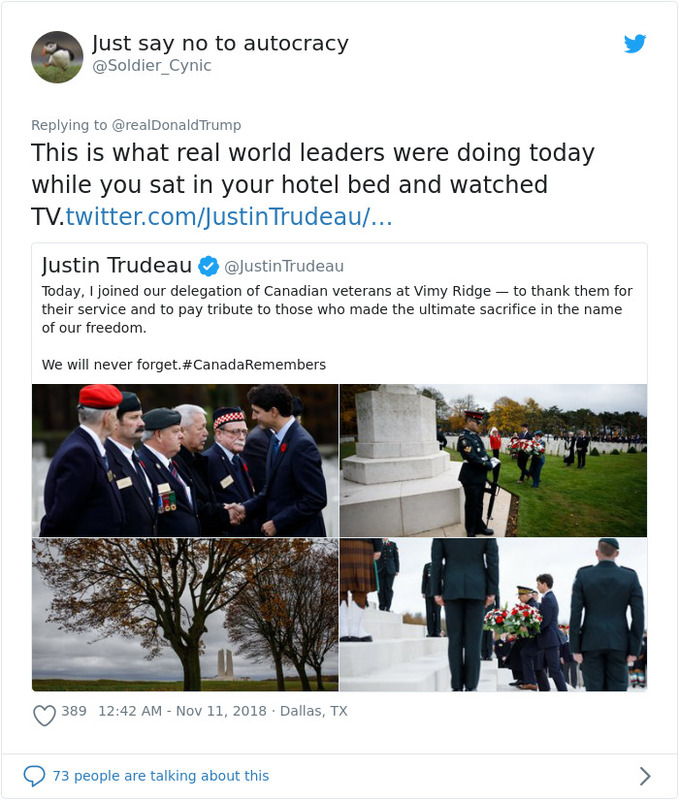 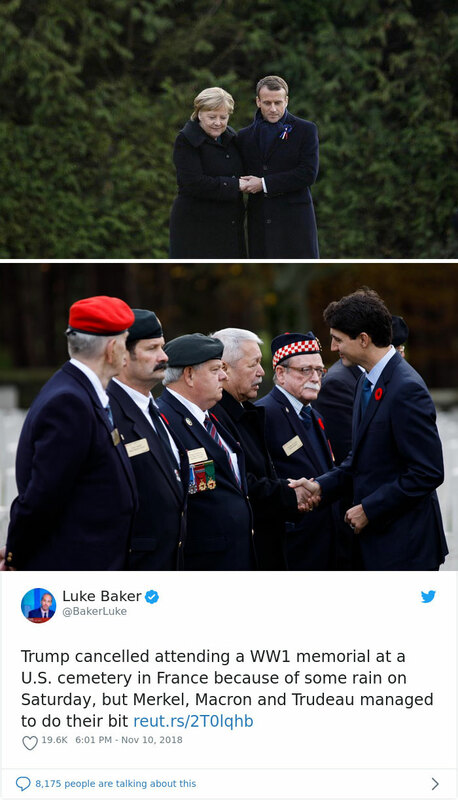 Among the world leaders that did show were Canadian Prime Minister Justin Trudeau, German Chancellor Angela Merkel, and French President Emmanuel Macron. 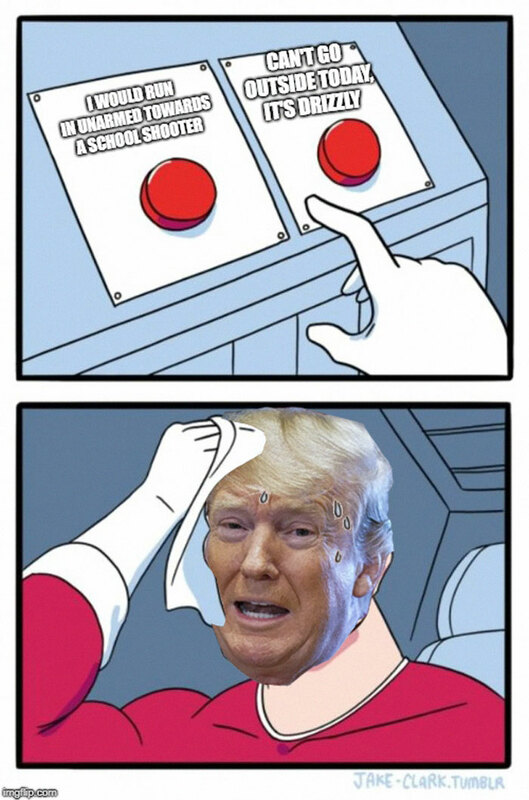 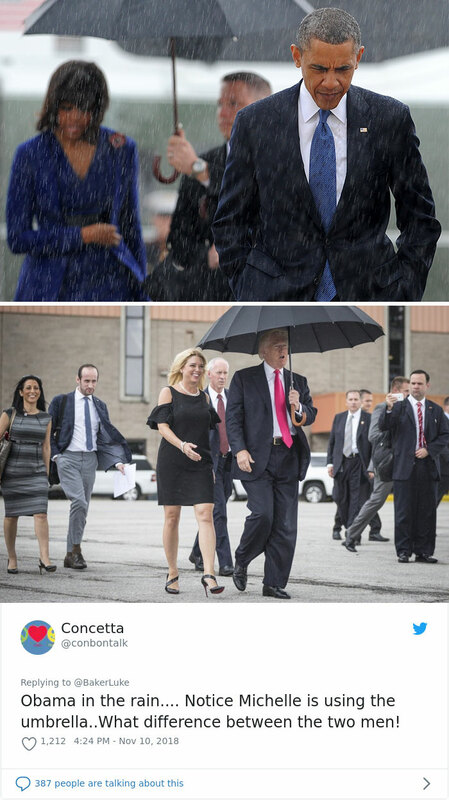 It didn't take long for backlash against Tump's absence to roll in. 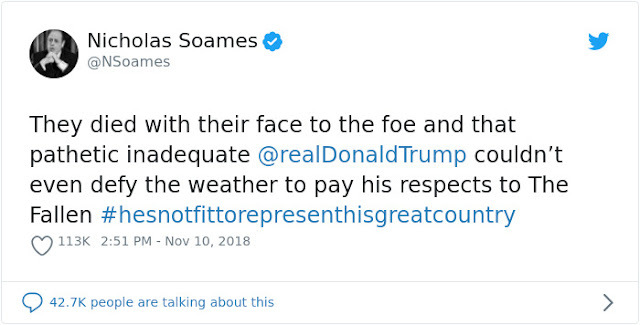 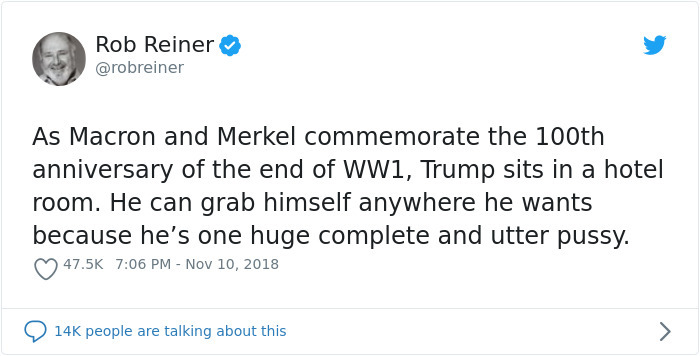 Winston Churchill’s grandson Nicholas Soames, a member of the British Parliament, called Trump “pathetic” and “inadequate” for his failure to show up. 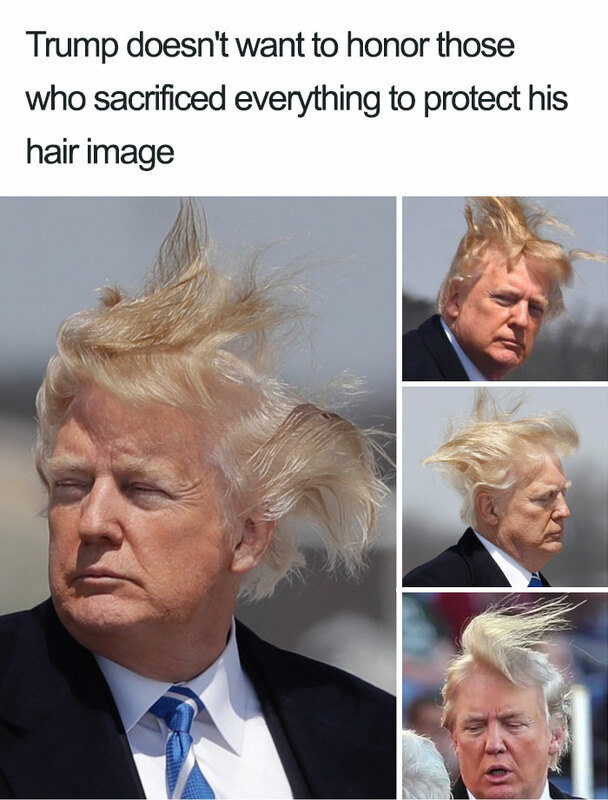 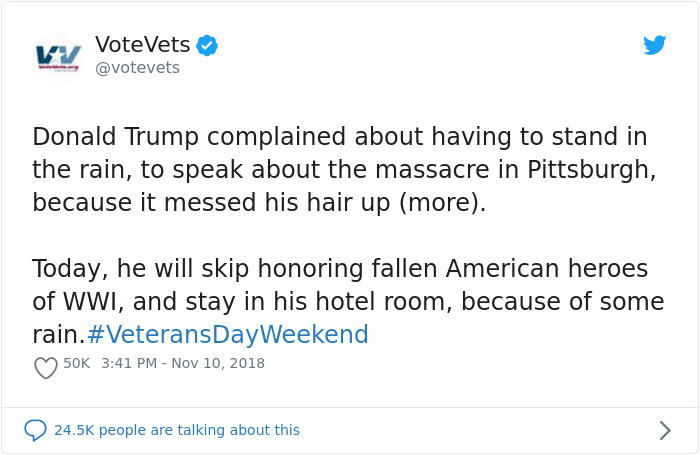 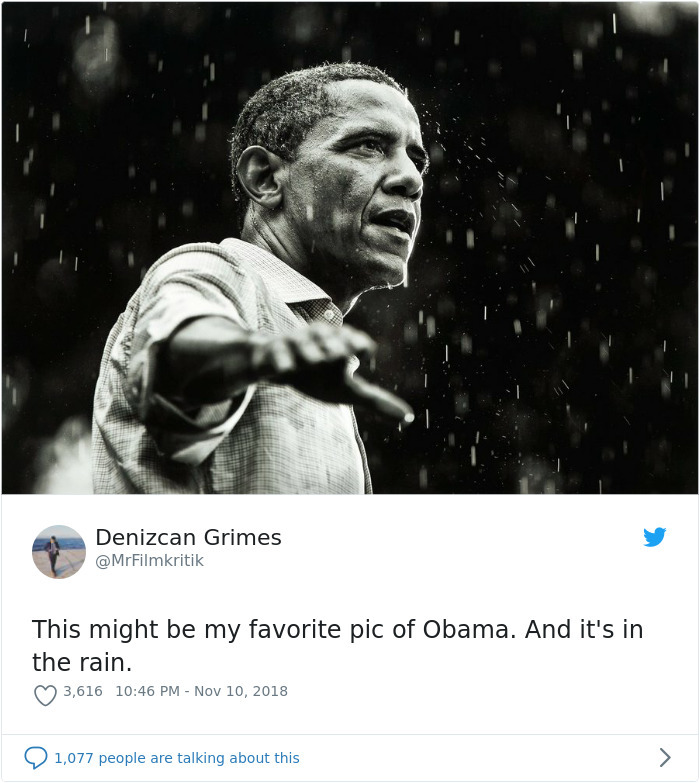 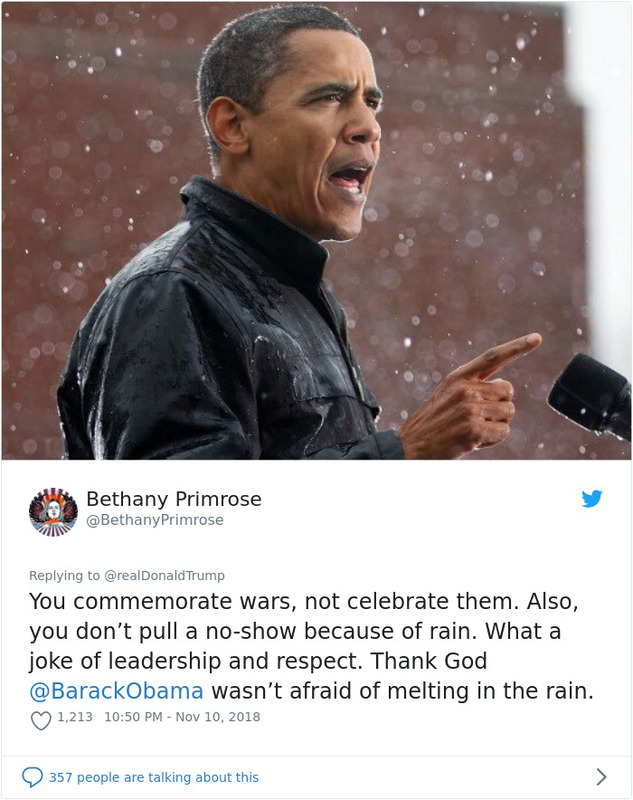 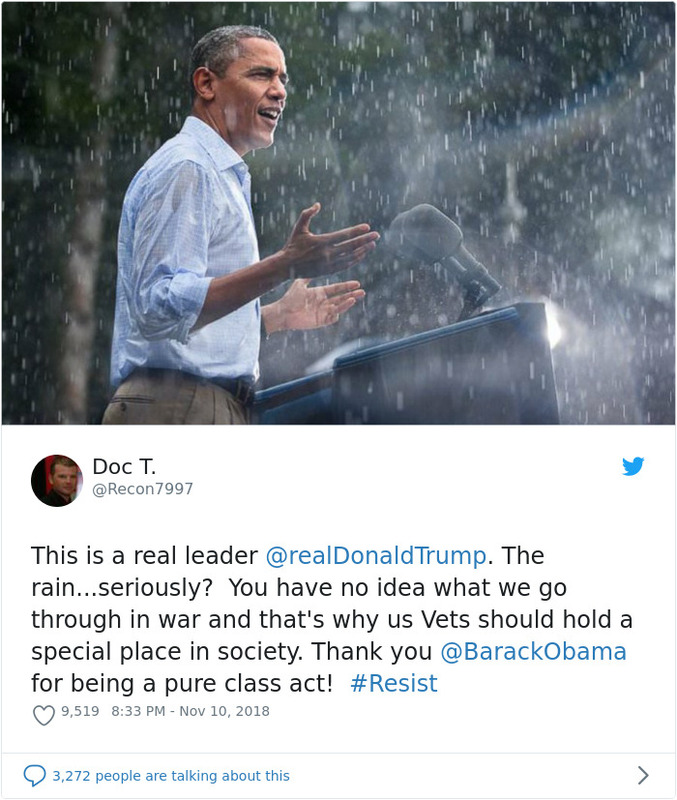 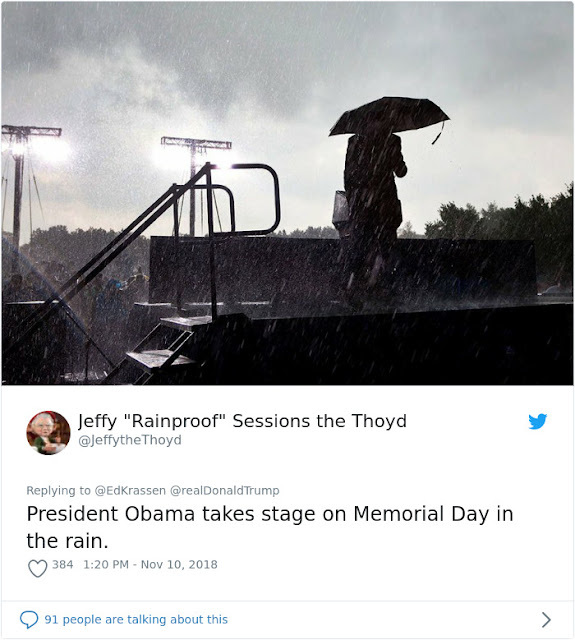 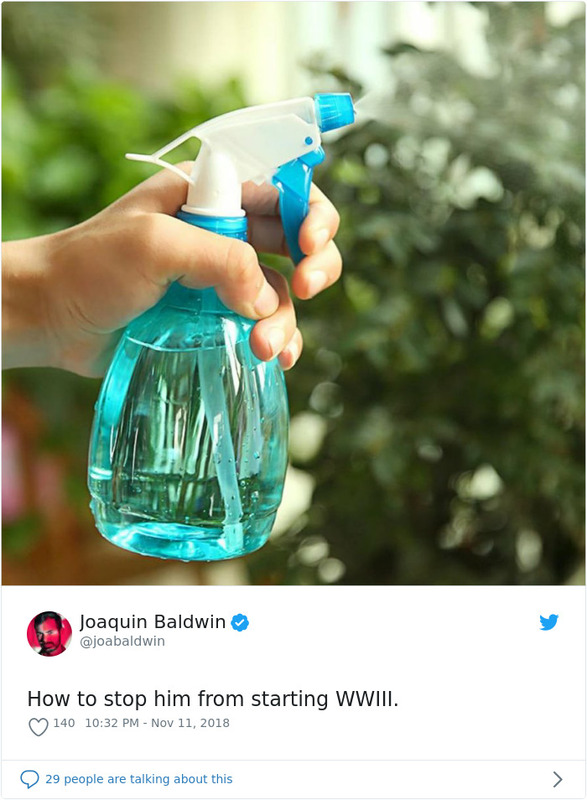 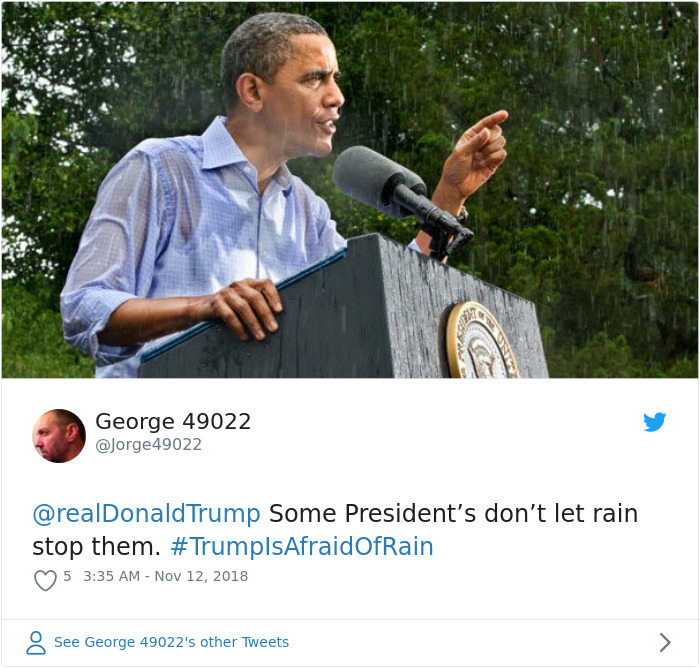 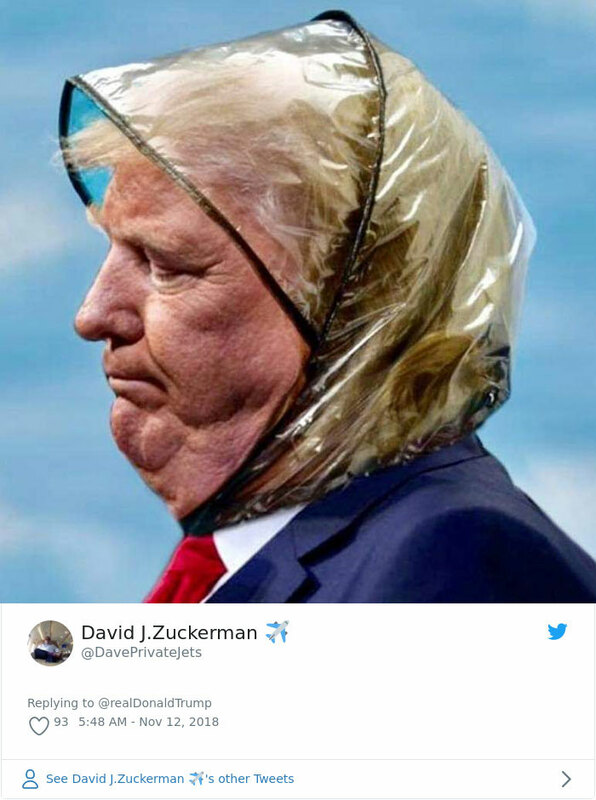 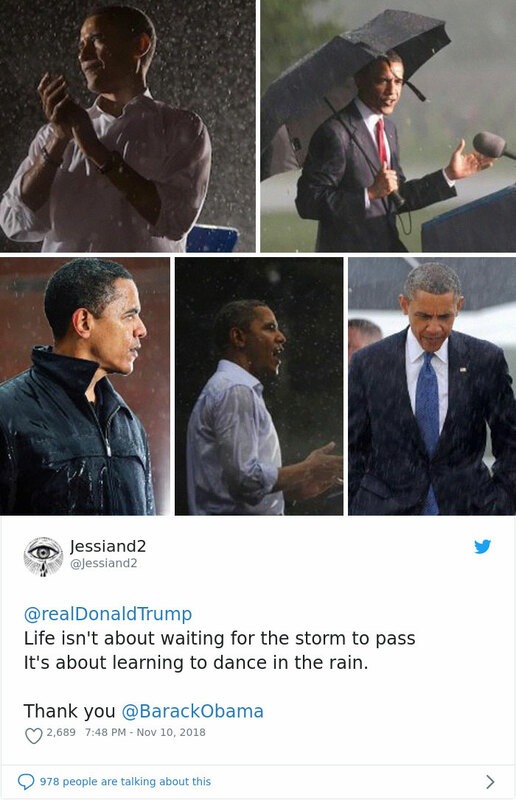 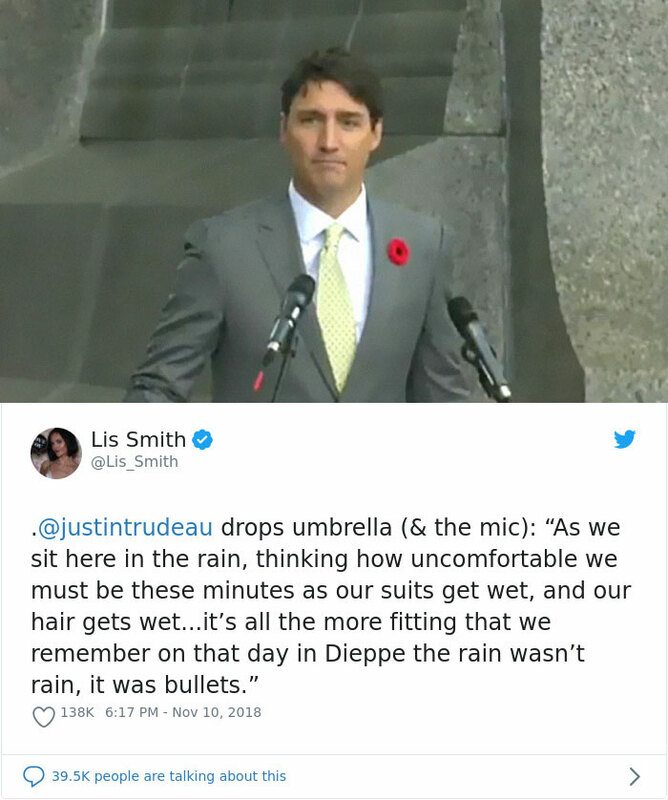 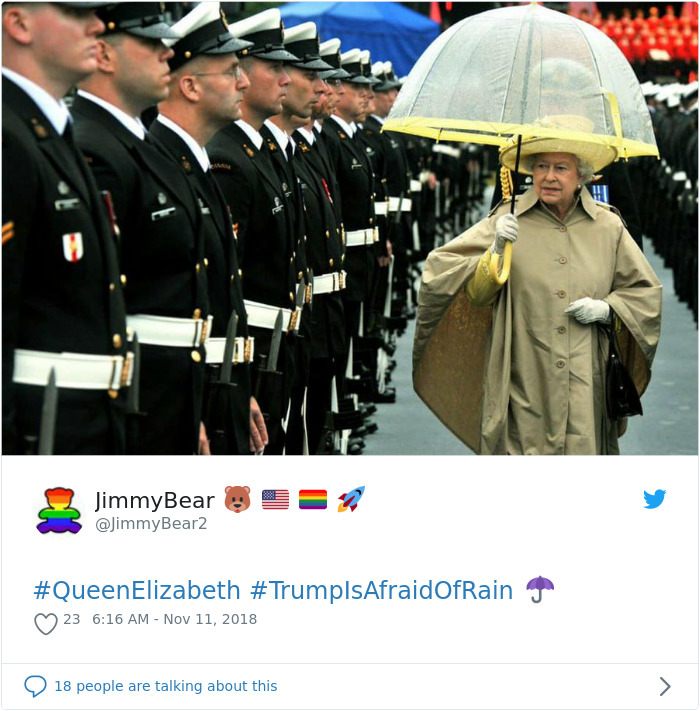 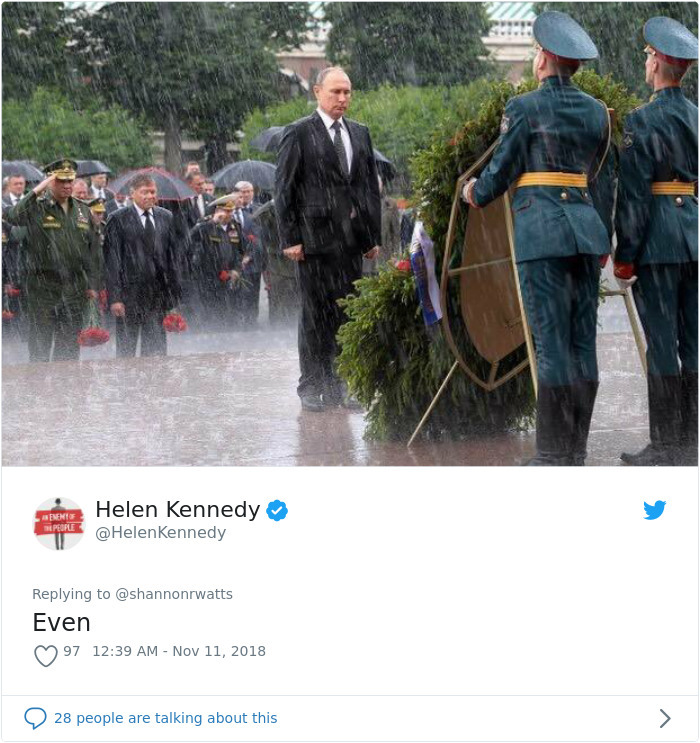 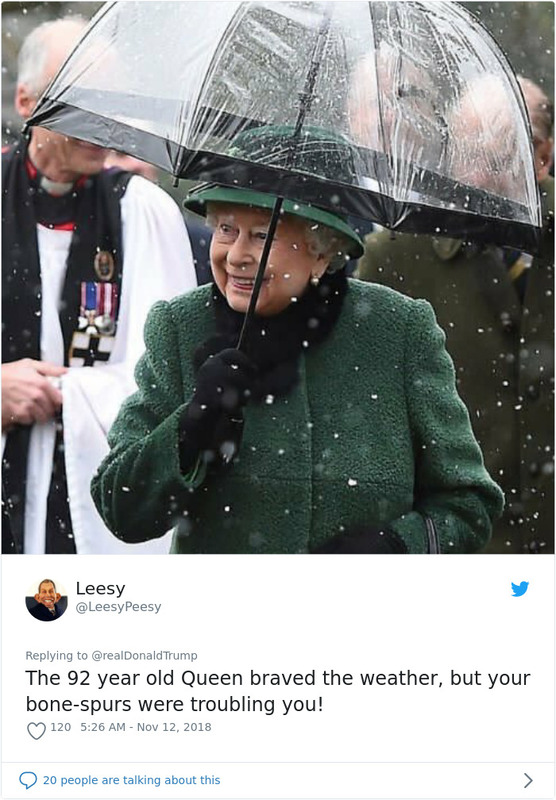 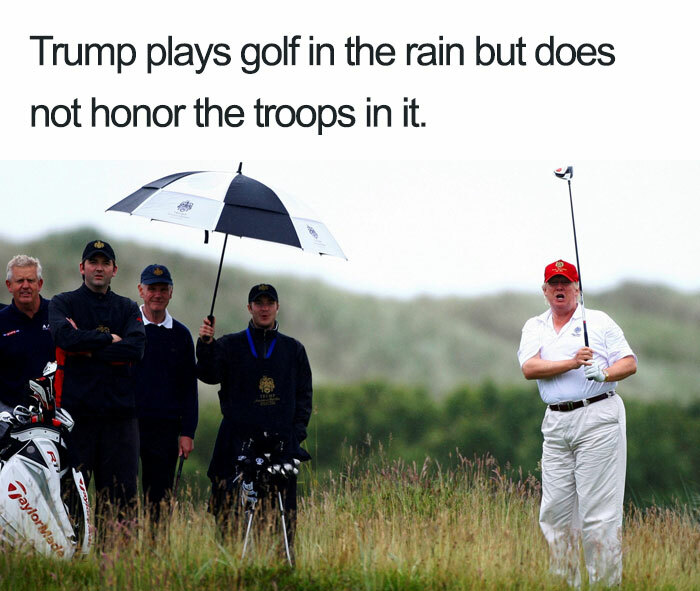 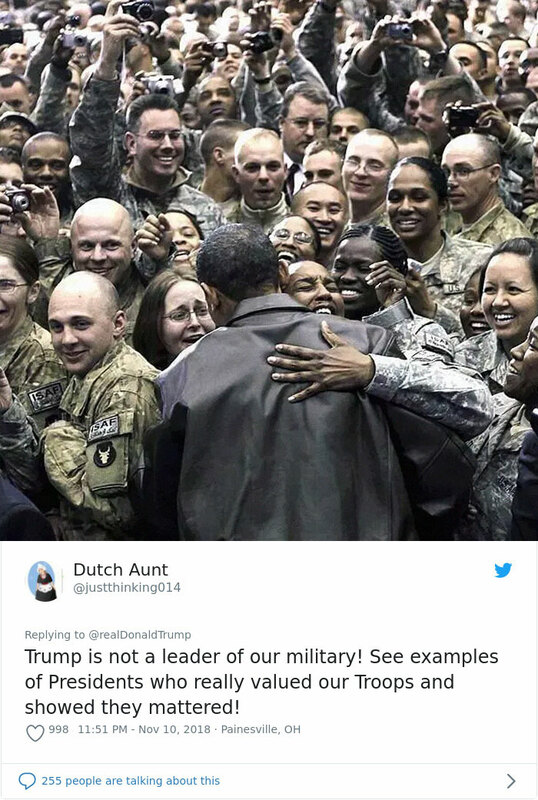 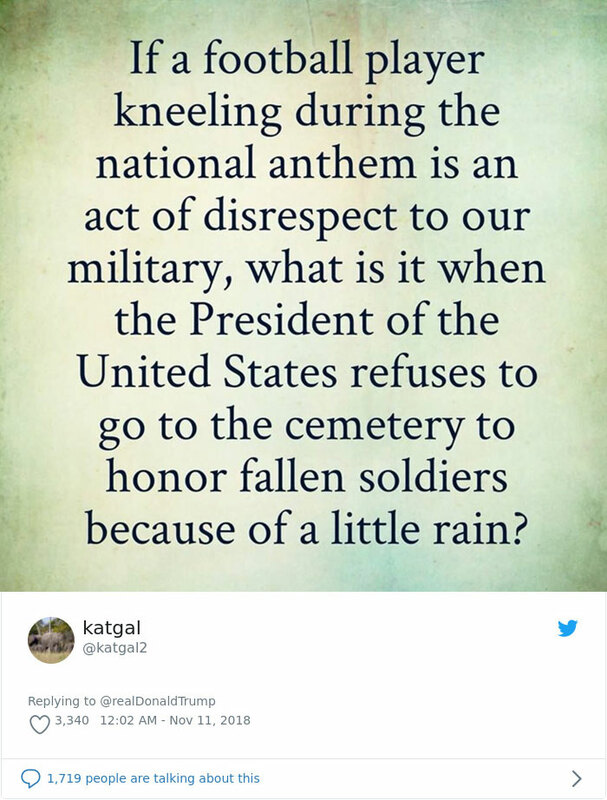 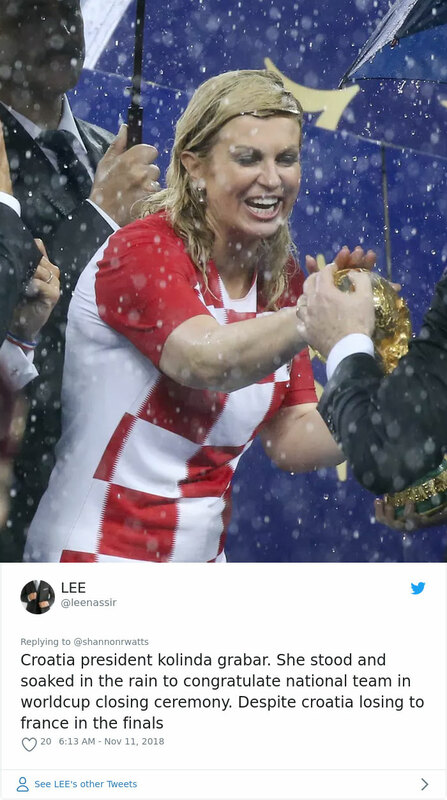 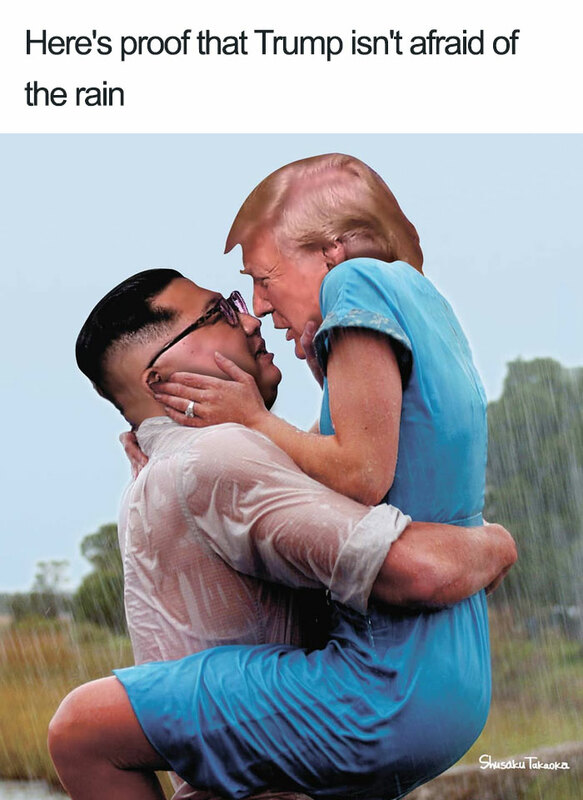 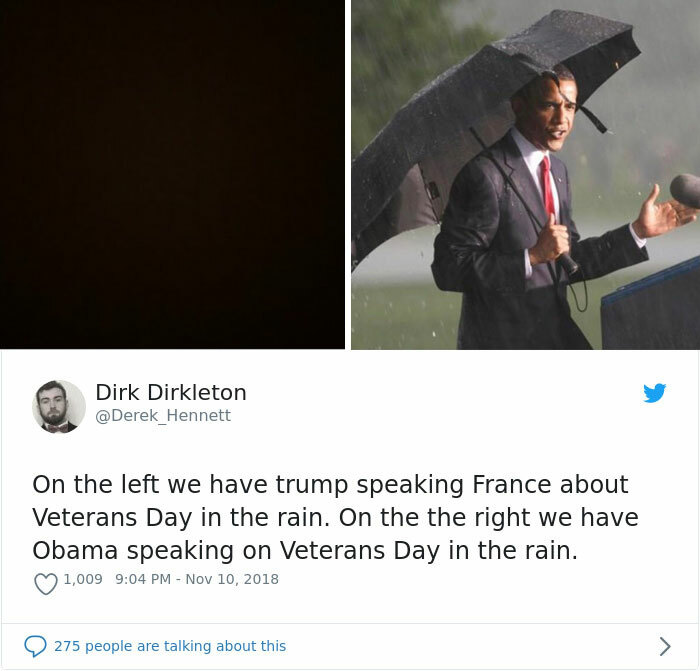 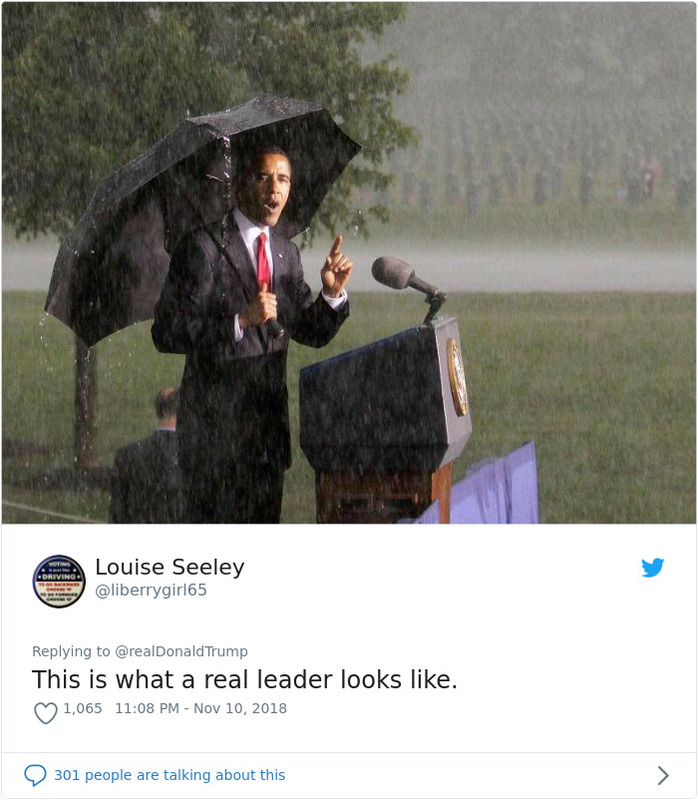 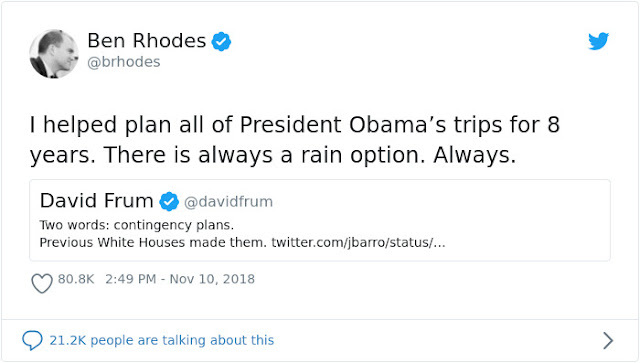 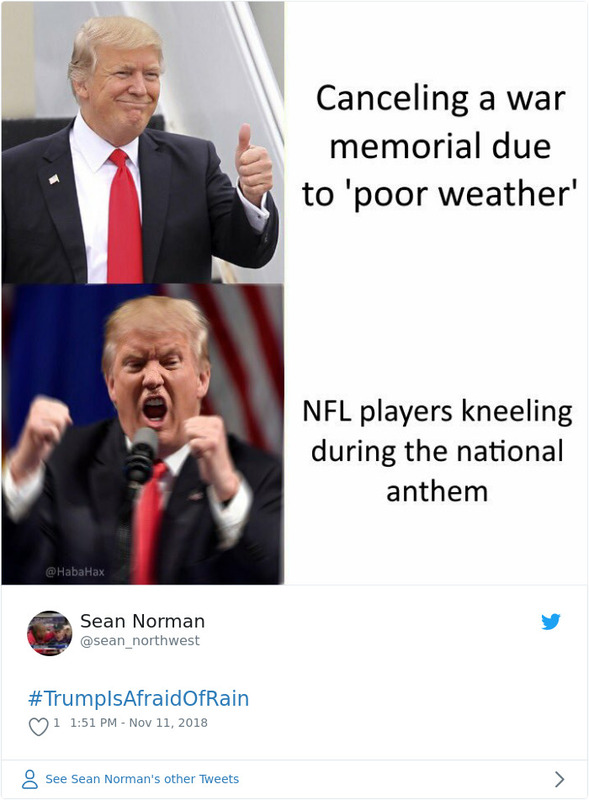 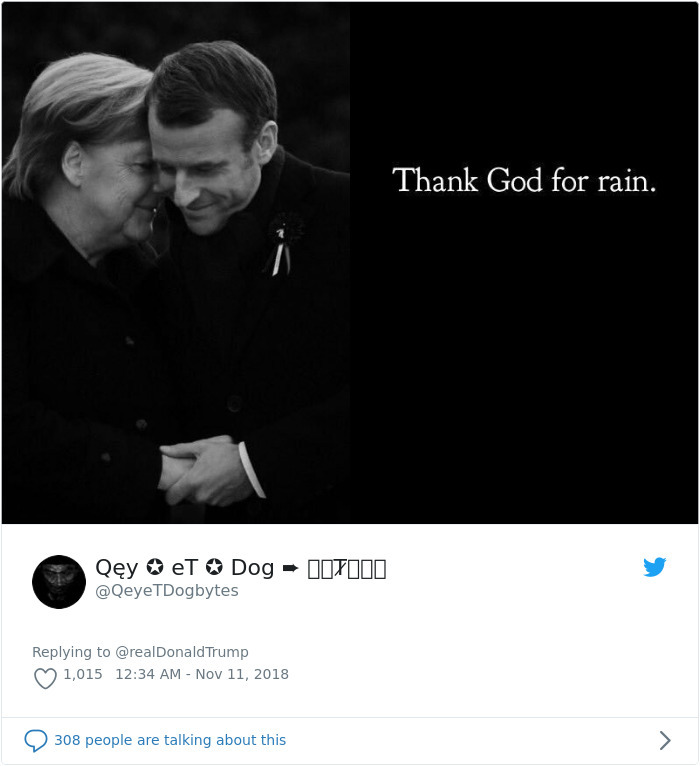 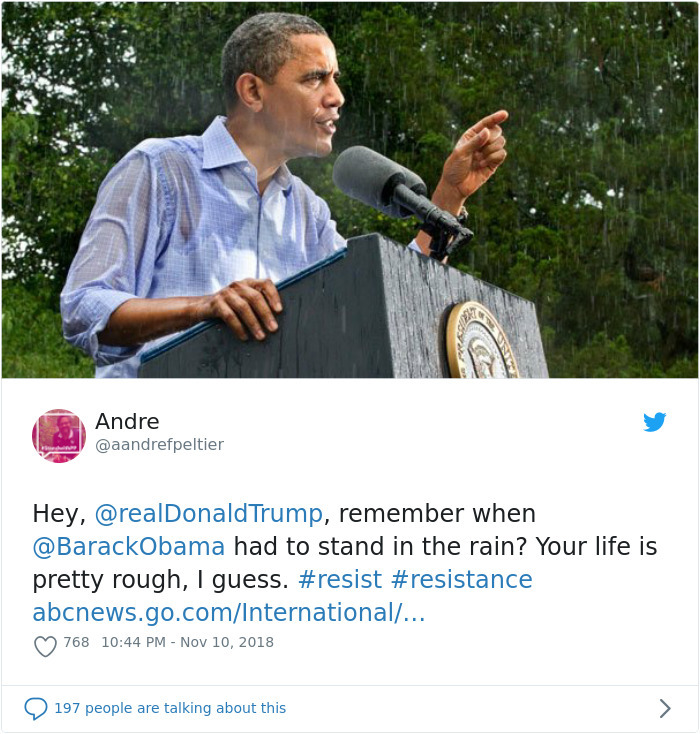 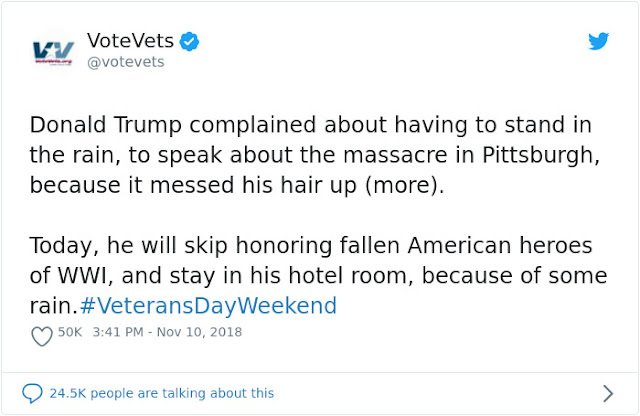 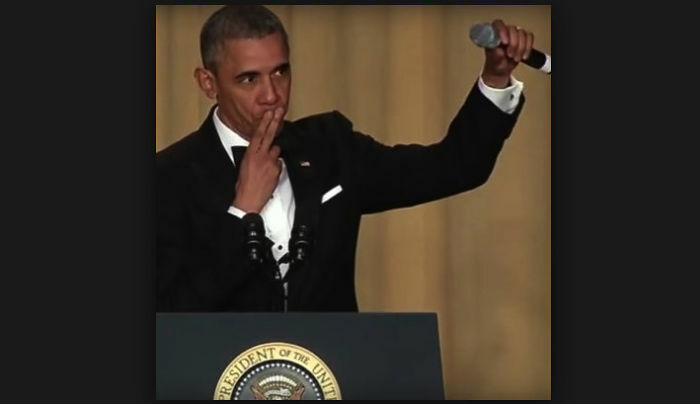 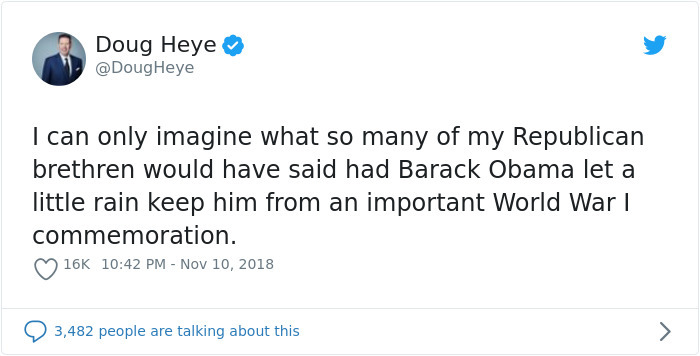 While the internet decided to take it a step further by blasting out photos of Obama at various events standing in the rain, with comments about a president who knew how to use an umbrella, alongside photos of Trump struggling with one.